Who am I? I’m a father, English teacher, blogger and a hopeful writer who comes from Canada, but lives in Japan. I was born in the late 1970s in a small town in Alberta, Canada. I played hockey, yet was a shy kid who loved science and geography. After I graduated from high school, I went to the University of Alberta for one year, then transferred to the University of Victoria to complete my degree in physics and astronomy. After 3 years of working in Edmonton, I moved to Yokohama in Japan to start my new life as an English teacher. I took a lot of pictures. I lived in Kamakura after that and started blogging about Japan. I met my wife and we moved in together in Fujisawa, where we now live. We’re now married and have a very young daughter. I started this blog to showcase my writing, talk about anything that’s on my mind, and write reviews of books I’m reading. I’ll be honest and candid, but I will not talk about my private life. I’m hoping for some great readers and commenters as this blog grows. I run a few other blogs. Jay Dee in Japan showcases my Japan photography and discusses my experiences in Japan. Foreign Dad in Japan is all about my experience raising a daughter in Japan, though it’s now on hiatus. Mainichi Dokodemo Photography is dedicated to my iPhone photography. 365 Rotations is a year-long experiment from February 2013 to January 2014, but I still update it with weekly weather reports. If you’d like to contact me, you can email me at jarcher77 @ yahoo . com (just take out the spaces) or use this form. ooo…that just shows the kind of work that u have been doing…happy blogging fella..! I found your site (https://ireadencyclopedias.wordpress.com) and interested in text link. Let me know if you are interested then I will give you more details. I can offer you best to make it worth your time. I couldn’t get you.. could you please elaborate. I just started writing recently and could use some tips from an avid reader such as yourself. Let me know if you are interested in offering an aspiring writer with some hints and points, from a reader’s perspective as well a writer’s. I can probably offer some advice based on a reader’s perspective much better than a writer’s perspective. I haven’t finished my first book yet. But I’m happy to help if I can. In an attempt not to utterly embarrass myself, I will send you the first three chapters of my book once I am done with the third draft. Your random choice of topics appeals to me as does your Japanese blog. I would like to visit Japan one day and this gives me valuable food for thought. Richard Dancer. Thanks for the nomination! I’ll try get around to nominating some myself sometime soon. I wouldn’t say my topics are random, as most are related to writing, though some are merely related to knowledge. Thank you for your visiting my English blog. You’re welcome. I enjoy reading it. Ha! Another hit with a linking award. I mentioned your blog in reference to the Versatile Blogger Award. Check out the post and participate as much as you like. No obligations from my end. Thank you very much! Although I won’t be awarding any awards, I do plan to give some well-deserved publicity. Jay Dee, thanks for joining all of us introverts on 61 Musings. Have you ever read ken Jennings’ book “Maphead”? Your blog made me think of the book. Thanks for visiting. I haven’t actually heard of it. What’s it about? From the write up on Amazon: Jennings takes readers on a world tour of geogeeks from the London Map Fair to the bowels of the Library of Congress, from the prepubescent geniuses at the National Geographic Bee to the computer programmers at Google Earth. Each chapter delves into a different aspect of map culture: highpointing, geocaching, road atlas rallying, even the “unreal estate” charted on the maps of fiction and fantasy. Interesting. Seems to be pretty comprehensive about the subject. Well, thanks. Not sure when I’ll get around to it, but it’ll take some time to figure out who to nominate. Yeah, I only picked three and I ignored the number of followers, anyway. Right? :] So make your own! Of course! I never seem to see any two alike. Jay Dee! 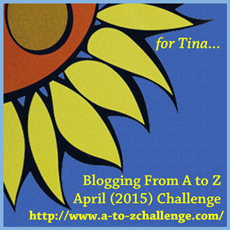 I did it again – I tagged you in a blog hop. Hope you get a kick out of it for yourself. Well, this is one I can definitely get into. May do it tonight! Your blog looks great so following back. Thanks for following back. Your blog looks very interesting! I think that could be arranged. I checked out yours and found some very interesting things. I like your notebook idea. I’m also interested in photography. Thanks! Looking forward to reading more on your blog. Thanks. I’m not sure if I will get around to it anytime soon. I’m really notoriously bad about nominating for awards. But I’m happy to have received them 🙂 In turn, I like to recommend other blogs instead. That’s something I need to do soon. You’re the second to tag me for that 🙂 I’ll have to think about what to write for it. Thanks! I’m thinking I’m going to do a big all in one award acceptance post, featuring all of the different awards, some answers to questions, and some nominations, probably. I’ll see how it goes. I’d love to work in Japan. Currently in Bangkok but when my time here is up, who knows? Thanks! Glad you enjoy it. I hope you’re enjoying Thailand. Thank you for the follow. I was amused by the MB test results. Did one years ago at work and was off the scale as ENTP. Now I write I’m a moderate version of my former self. I put the results in the comments on your blog. What’s interesting is that it can vary from time to time. However, when I took this test back in junior high school more than 20 years ago, I was INTJ. The results didn’t change for me, though I could identify with ISTJ, too. Well thanks for the comment here. I’m sure I’ll enjoy your blog. Looking forward to it. Apparently the spam filter has a problem with posting the exact same comment to multiple blogs. I nominated you for the Versatile Blogger Award. My latest post is about it. Thanks very much for following my blog! I’m looking forward to reading more of what yours is all about. Thanks! I hope you find something interesting here. Thanks for following Jay Dee! I am honored and look forward to seeing more on your site as well. Thanks. I look forward to seeing your blog, as well. Hey there Jay, just randomly found your blog! When you get a chance, come visit me at http://www.thatssojacob.wordpress.com, have a read, and follow me back if you like. Have a great day! Thanks for visiting and following! I checked out your blog and followed. Thanks! Glad you enjoyed it. I’ll definitely be watching your blog, too. Pingback: Liebster Award | Kristen P.